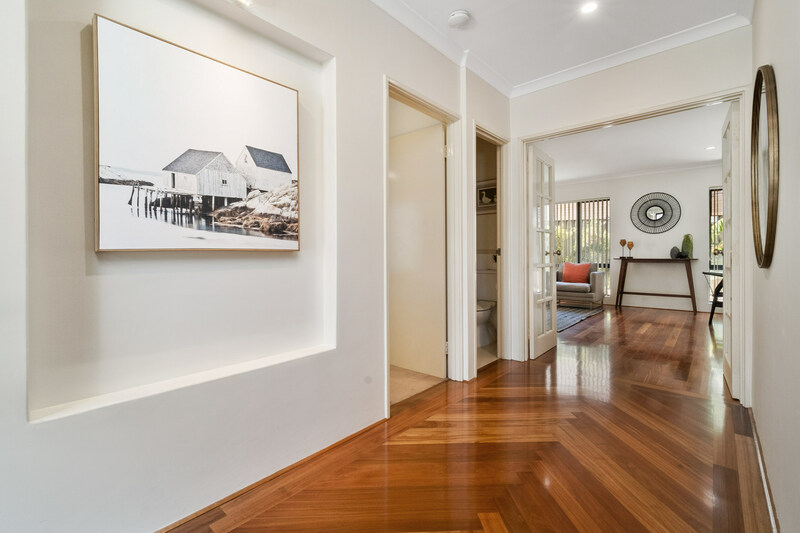 Versatility and comfort are the hallmarks of this fantastic property. 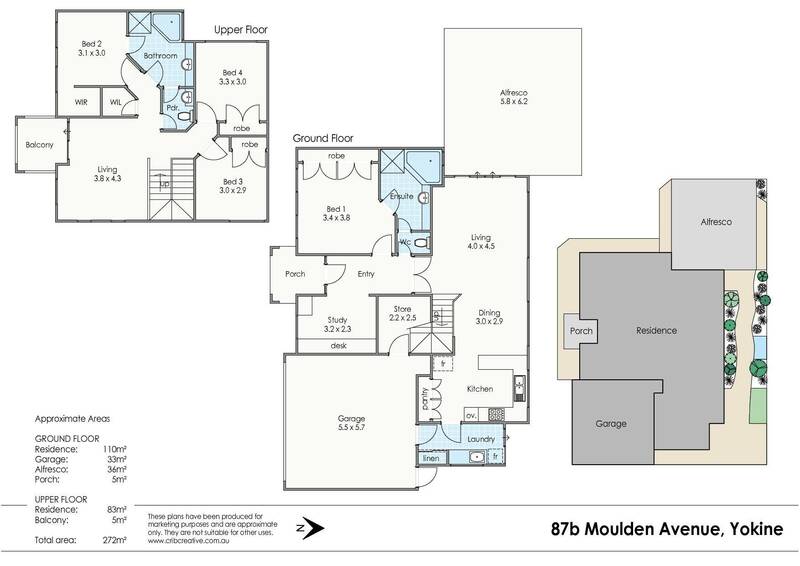 Bring the whole tribe or make this the perfect down sizer with room for the visiting family, the options are incredible. 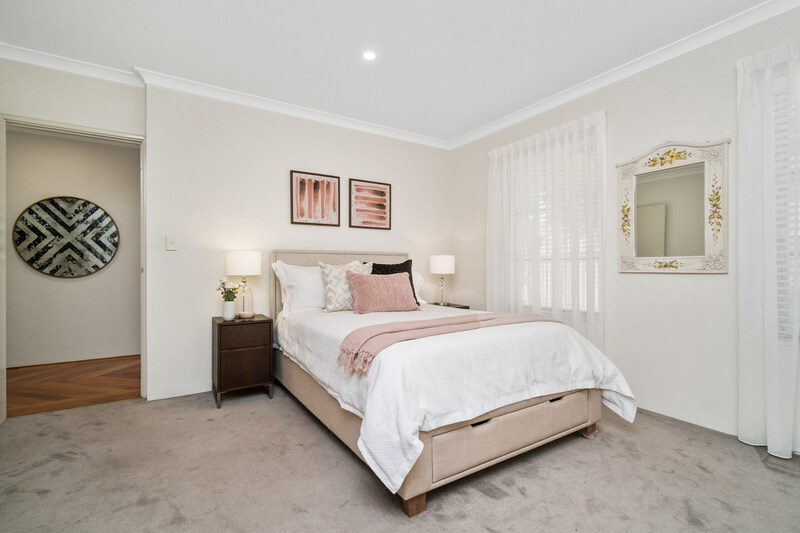 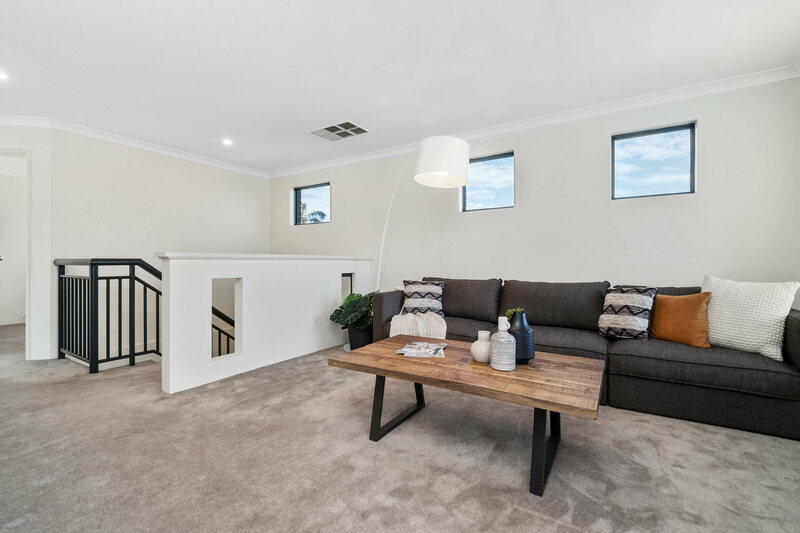 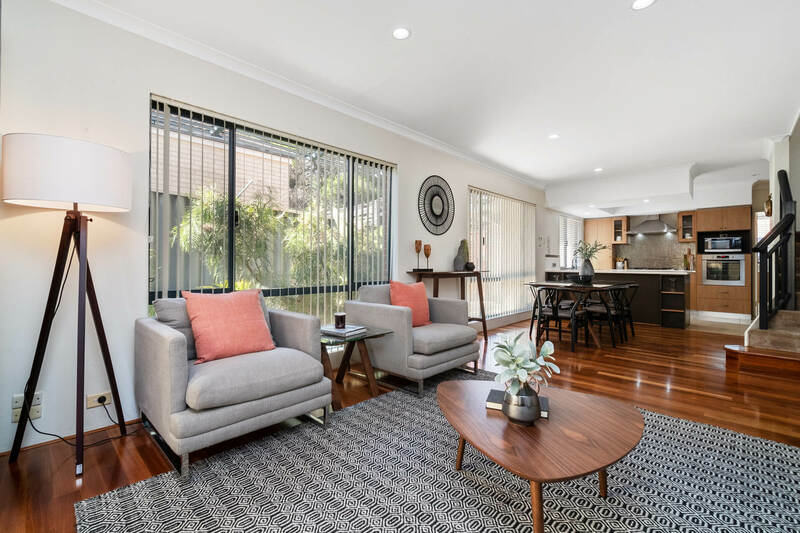 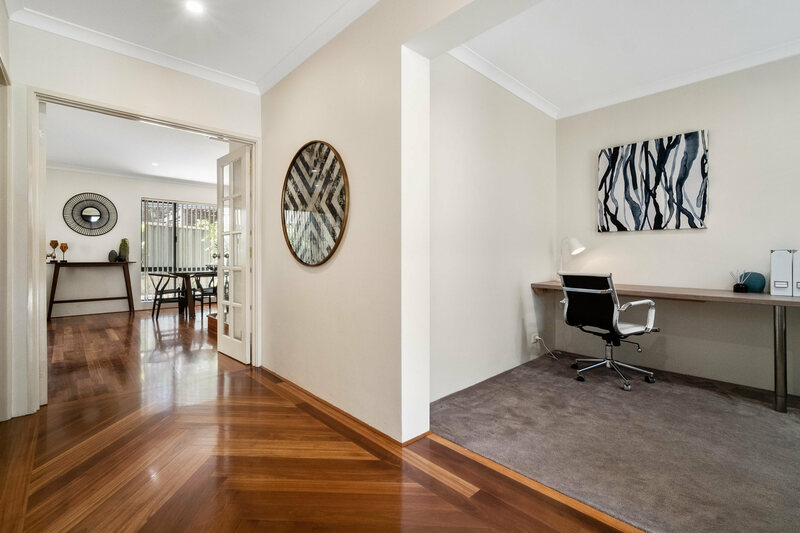 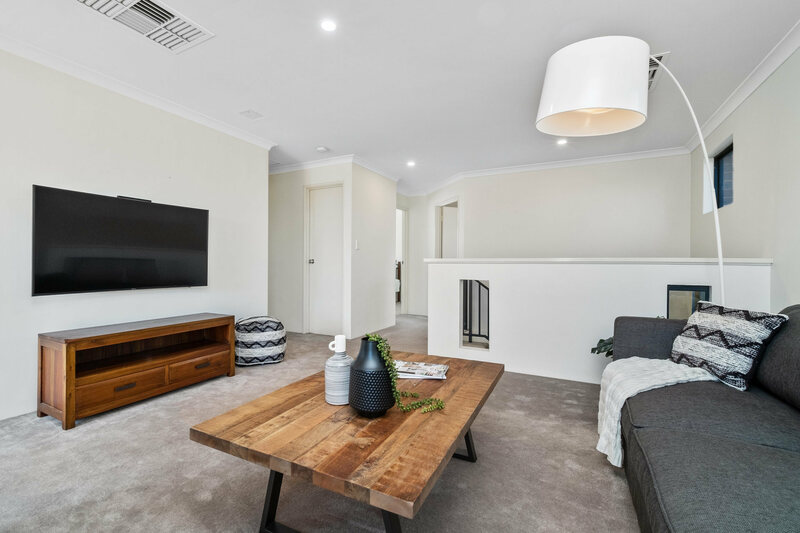 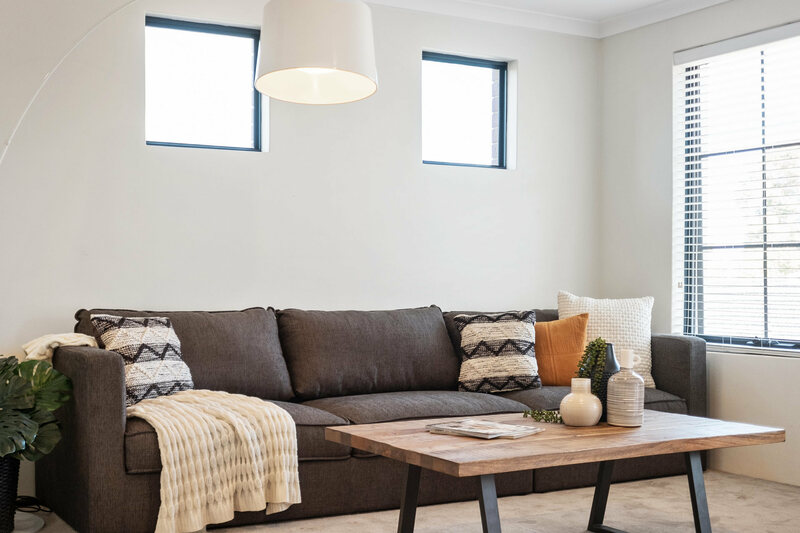 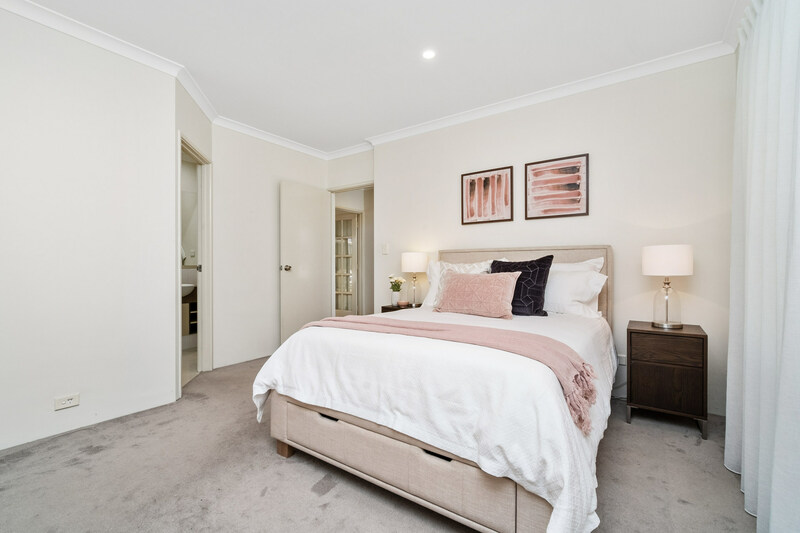 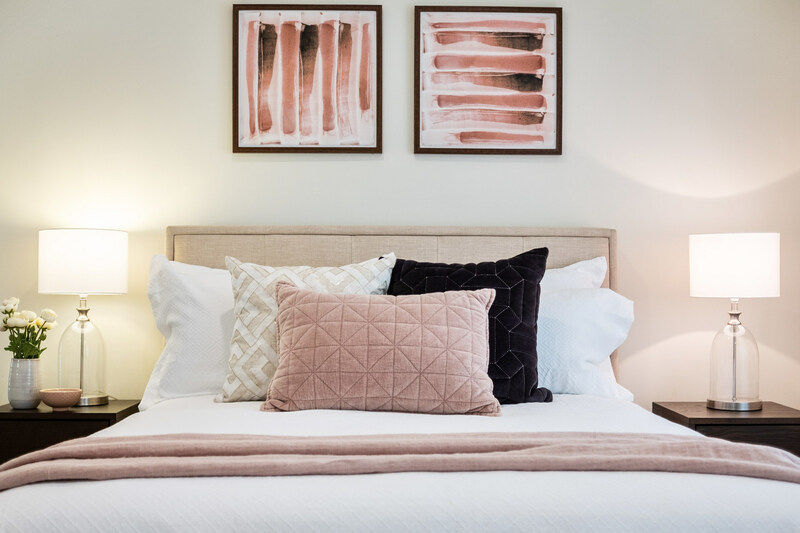 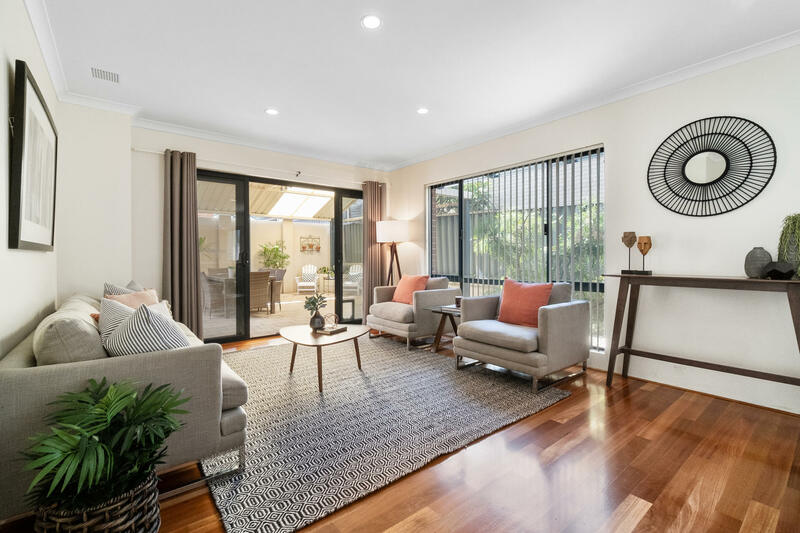 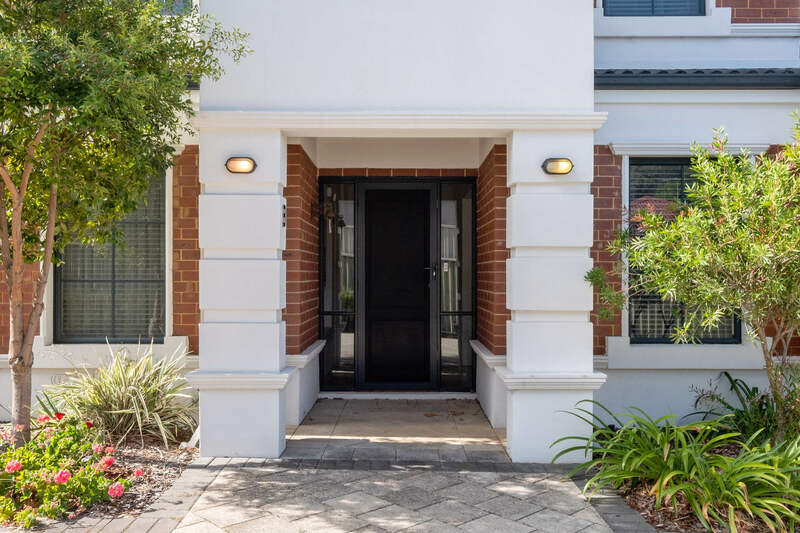 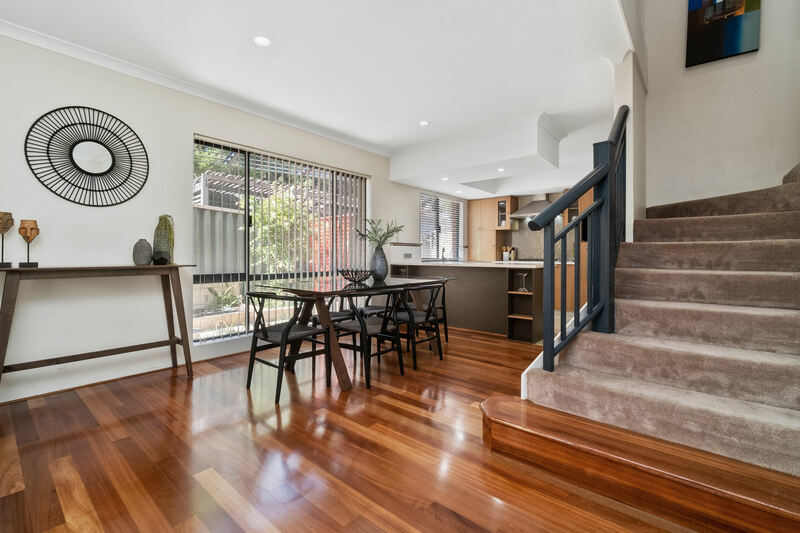 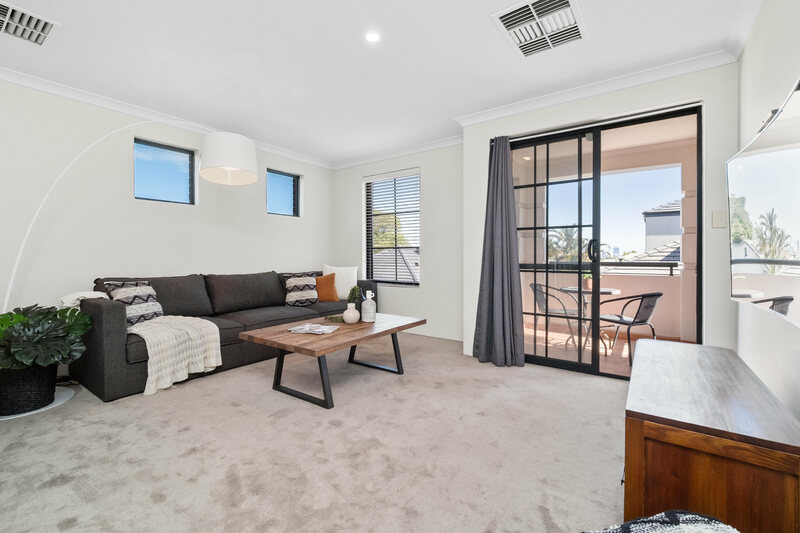 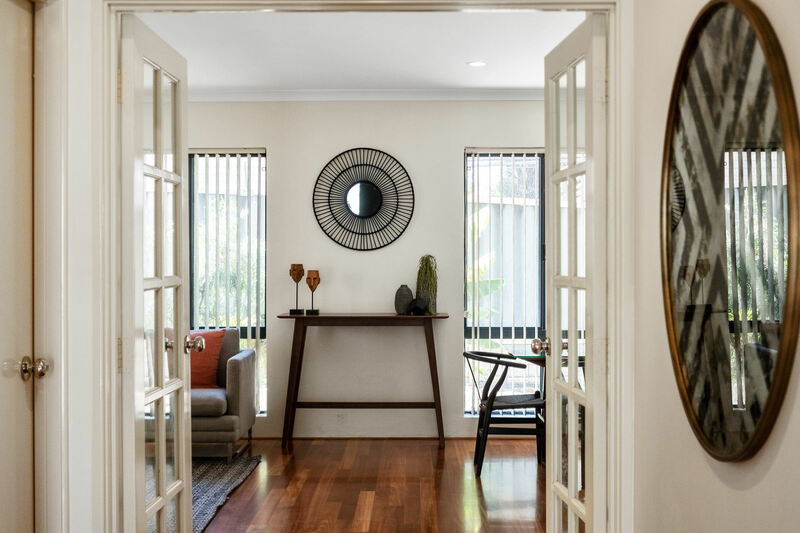 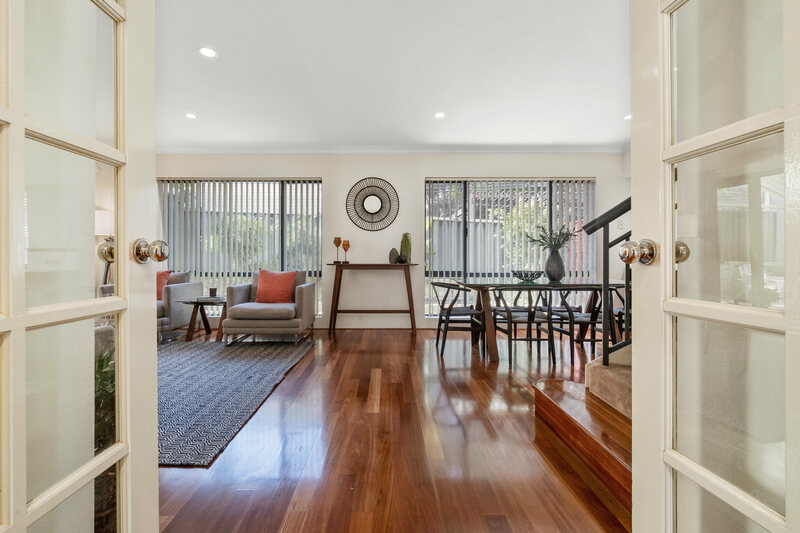 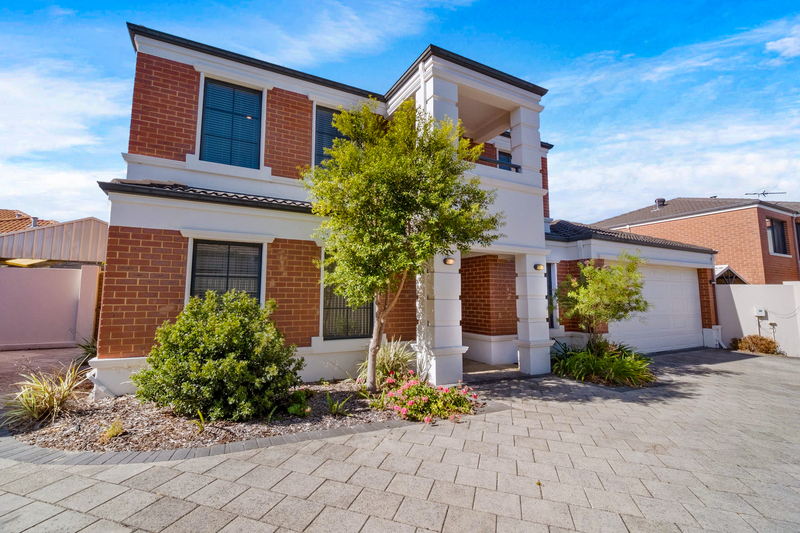 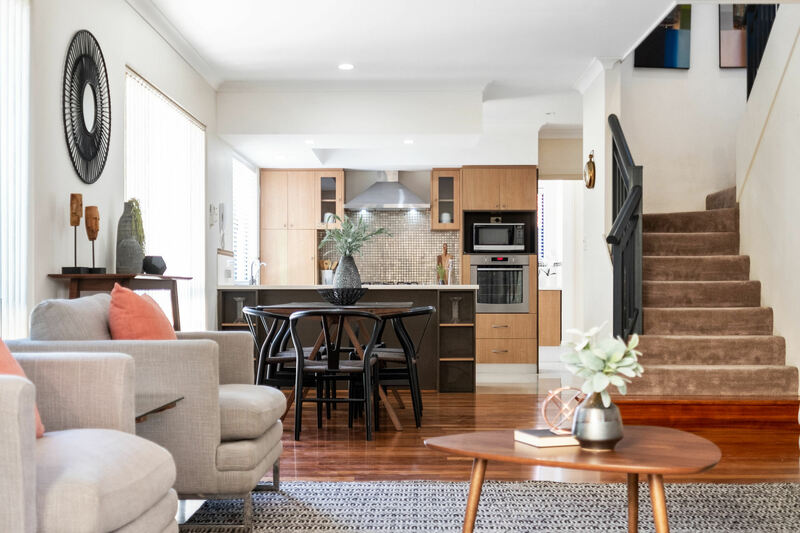 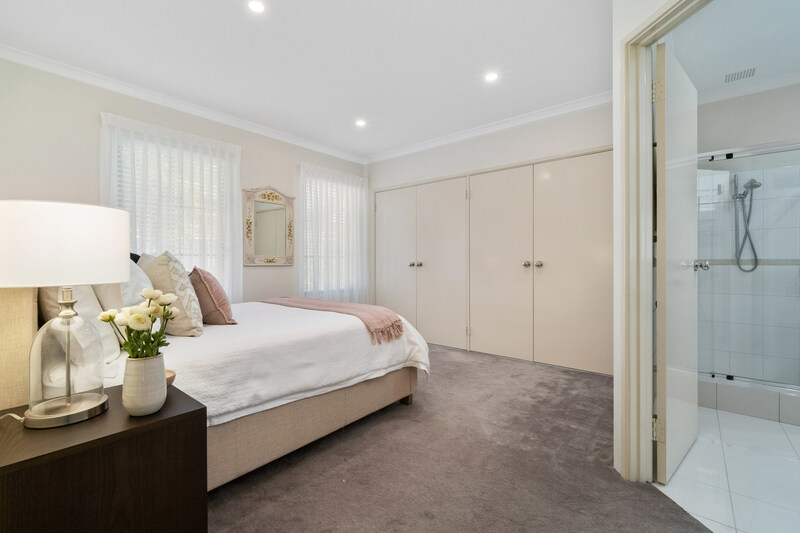 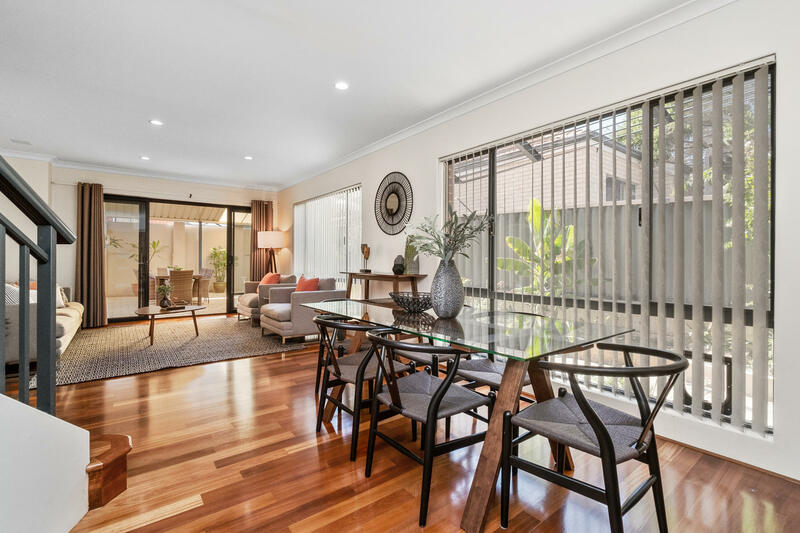 With polished timber floors on entry you will find the master suite on the ground floor, carpeted with generous window outlook and built in robes. 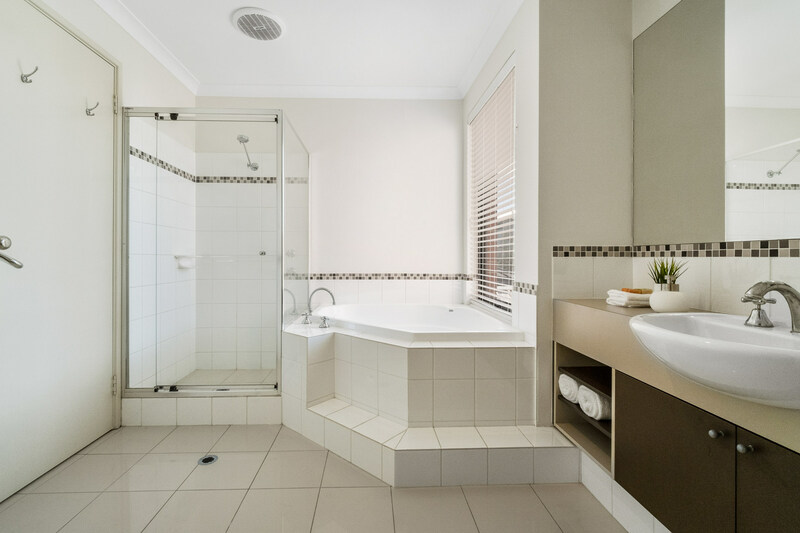 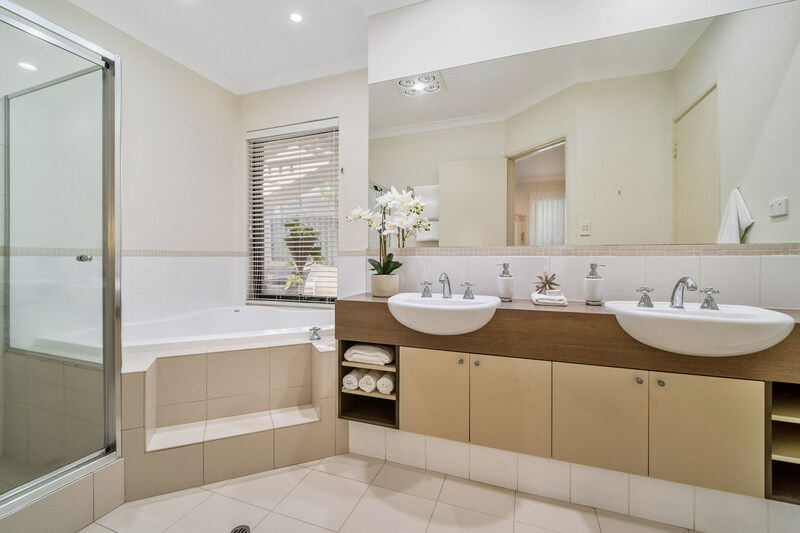 With a lovely spacious ensuite complete with soaking tub and double sinks, this is the perfect escape from the lively hub of the home. 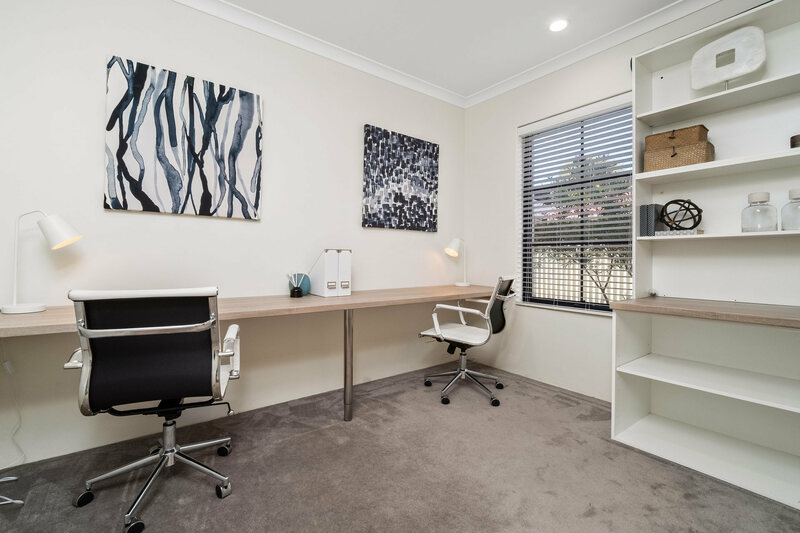 The designated study on the right as you enter is perfect for the person working from home or for the kids study area. 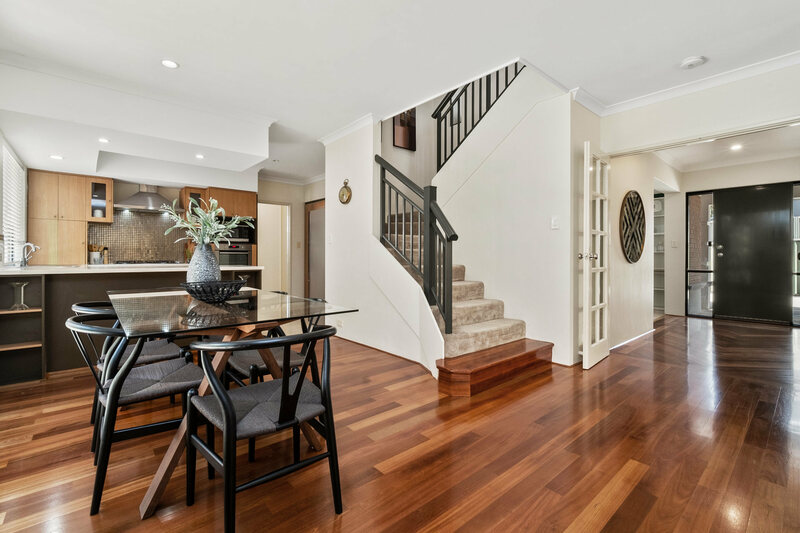 This downstairs zone can be closed from the rest of the home for peace, quiet and relaxation. 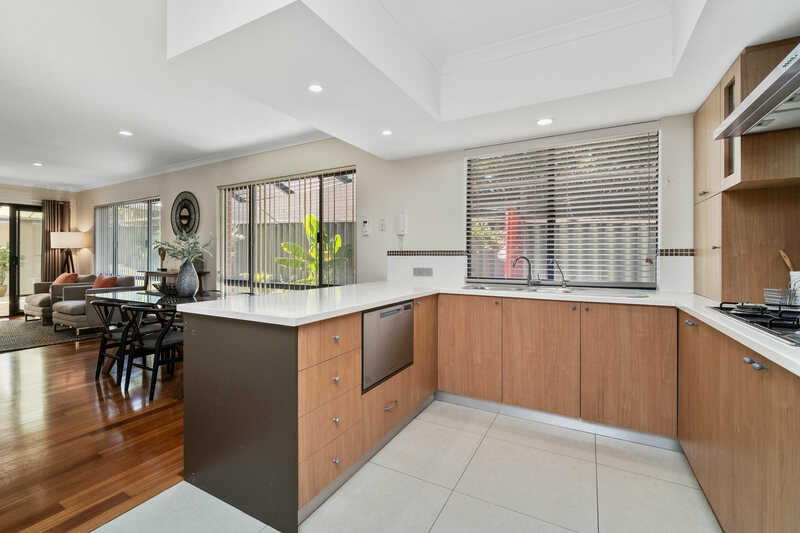 The living dining area is a fabulous space for the family to come together. 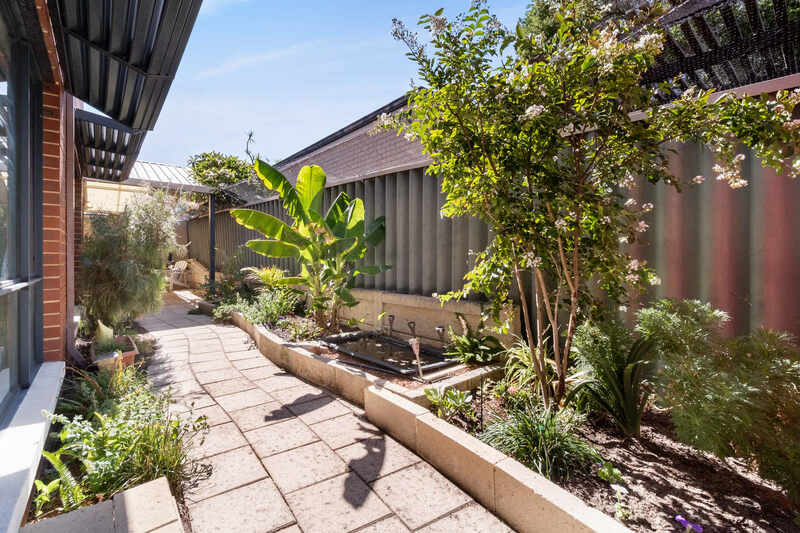 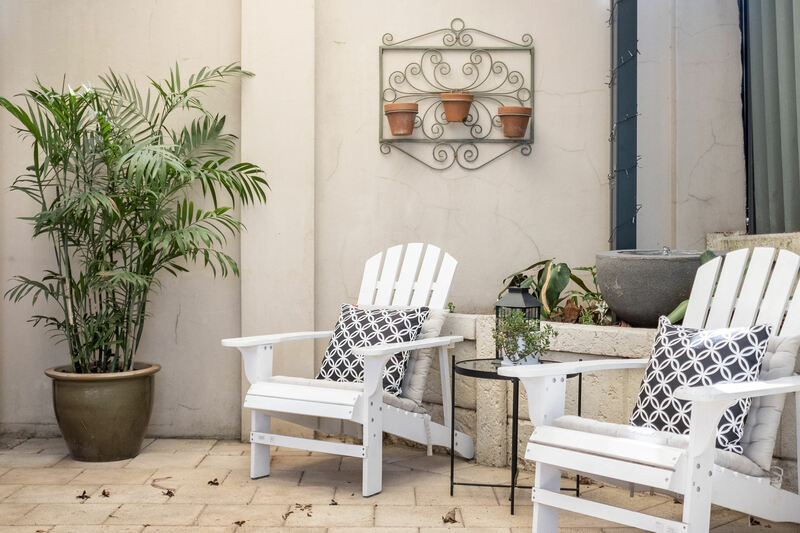 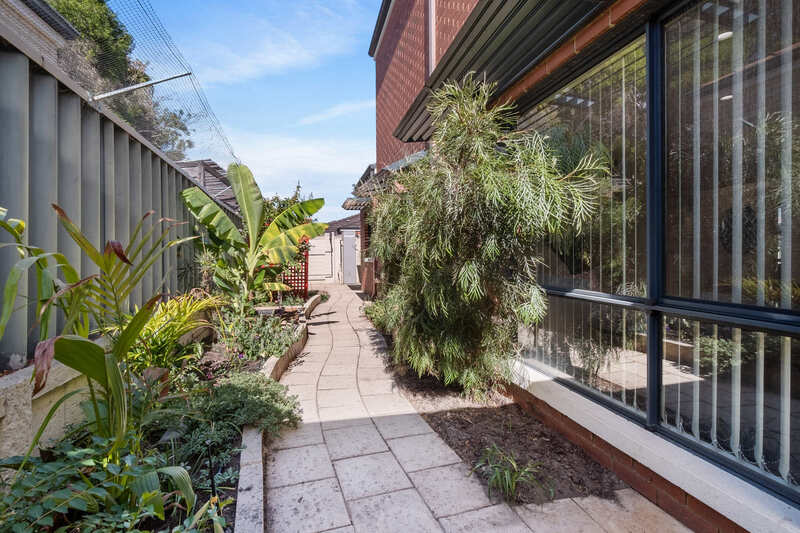 Moving seemlessly into the enclosed courtyard the outdoor area wraps around the living bringing the outdoors in and making it a bright space for living. 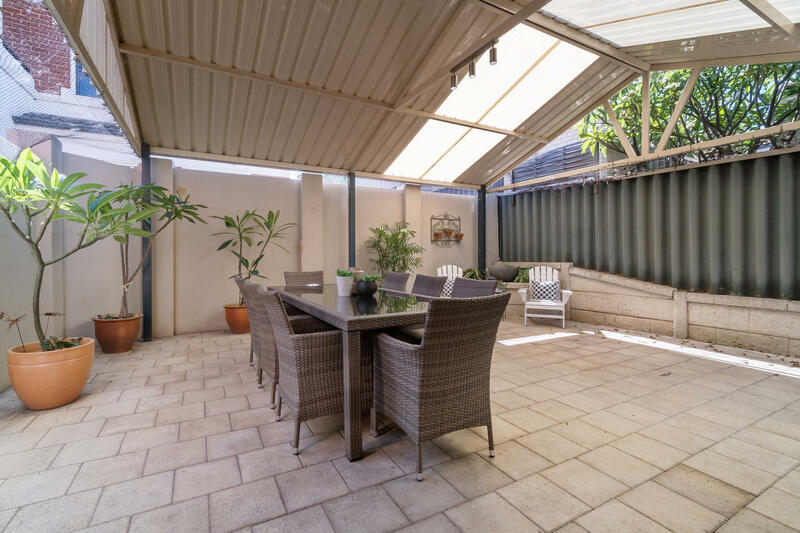 Alfresco living works perfectly as the whole area is enclosed, private and inviting. 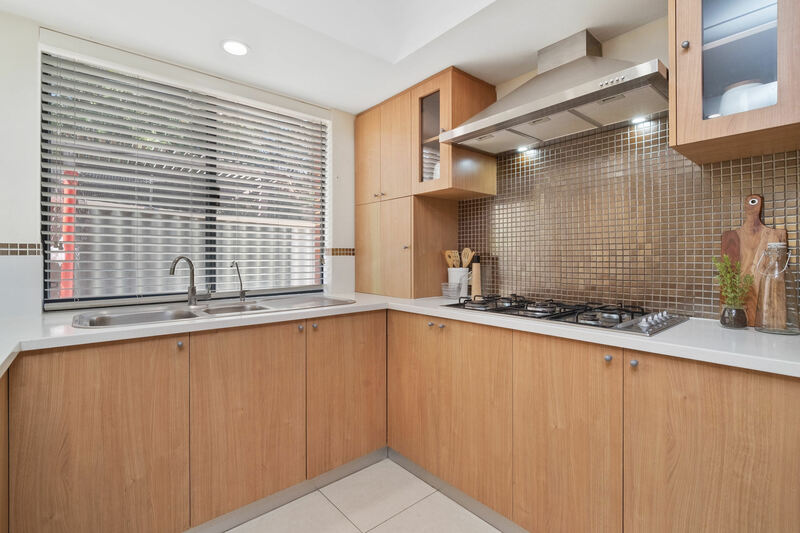 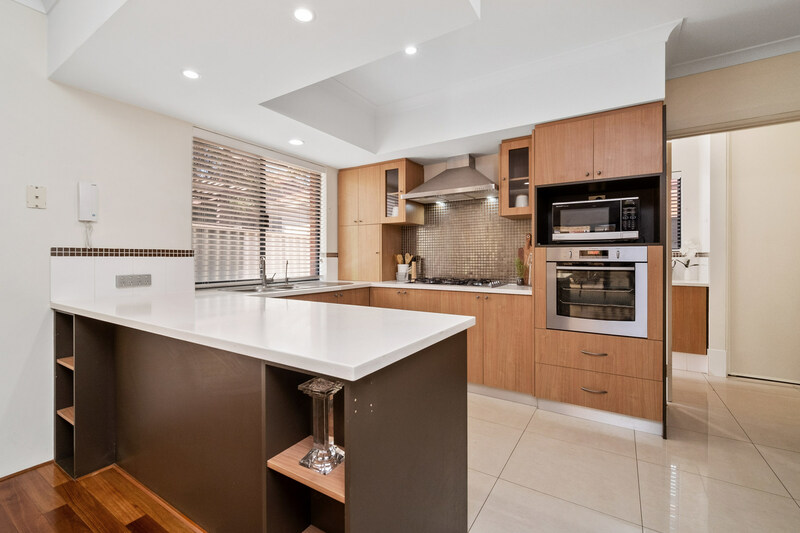 The kitchen is modern, in neutral tones with a metallic mosaic tile backsplash, storage has been well thought out here also as there is plenty of kitchen cupboards and a large pantry. 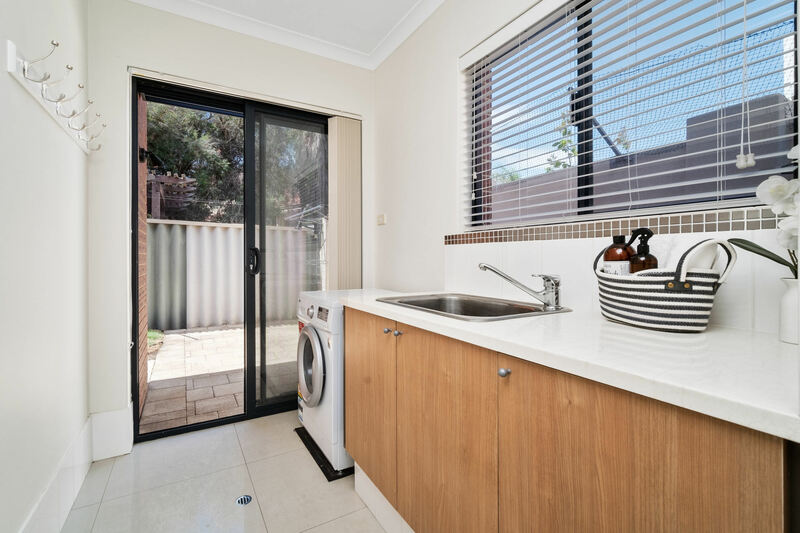 There is access from the kitchen to the laundry with its huge linen press and shoppers entry to the double garage which has remote controlled access. 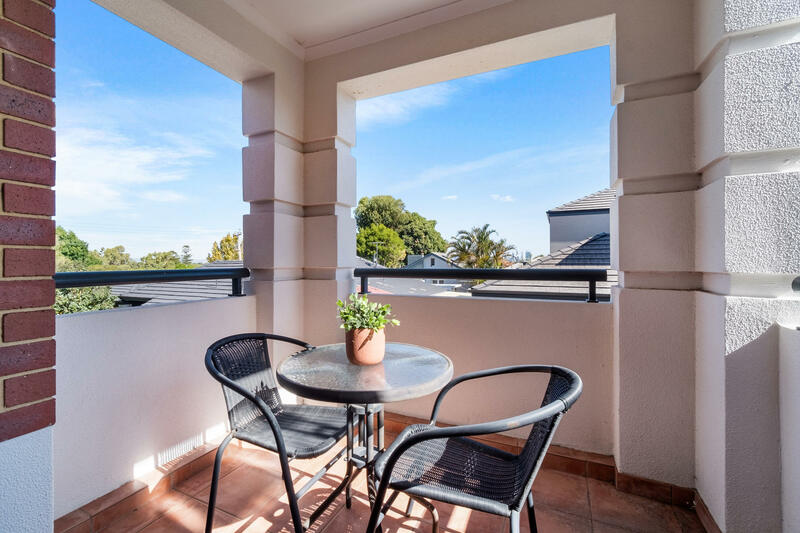 The upstairs area has views to the city and a gorgeous outdoor patio which comes off the generous second lounge as well as ducted airconditioning. 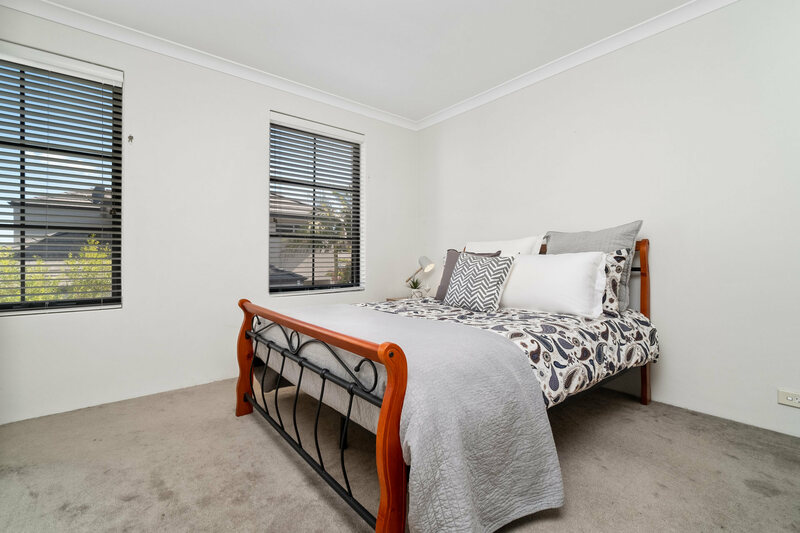 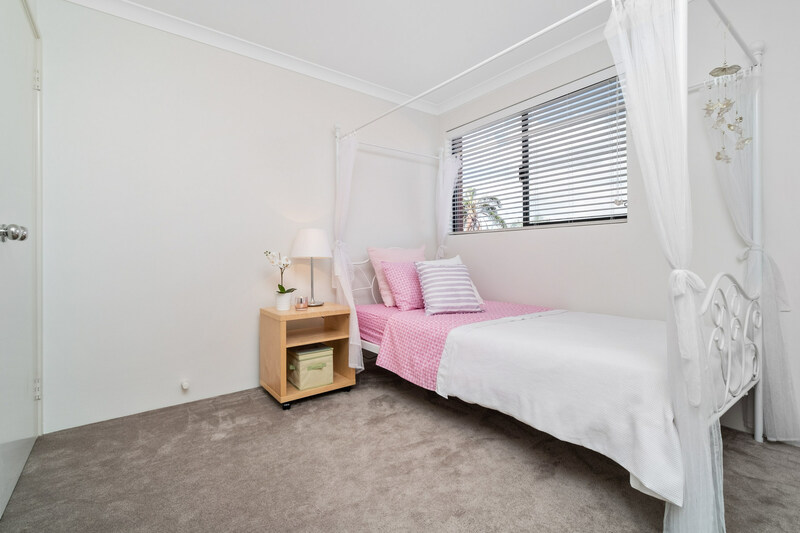 There are three good sized bedrooms upstairs with a large bathroom complete with bath, it is a semi ensuite onto the front bedroom which also has a walk in robe. 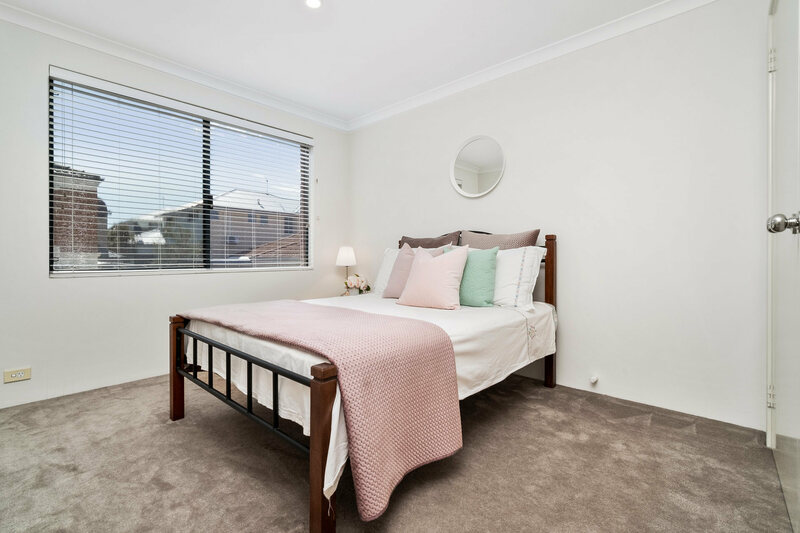 The second and third bedroom upstairs have a built in robes.